Started collecting in dec 2016 after picking up Silver Tower. Used to collect in my childhood. I've dabbled into Mixed Order, Stormcast - Anvils of Heldenhammer, Wanderers and now I'm on to a, by my standards, ambitiously painted Daughters of Khaine army. I enjoy painting a lot, and most of my hobby revolves around that. I have little time for playing, but i love theorizing and listening/discussing tactics. I was fortunate to become a father in the summer 2017 which has seriously decreased the time I can spent on hobbying, but i squeeze in some whenever possible. I've started this blog to share what I've painted so far, and become a part of the community! 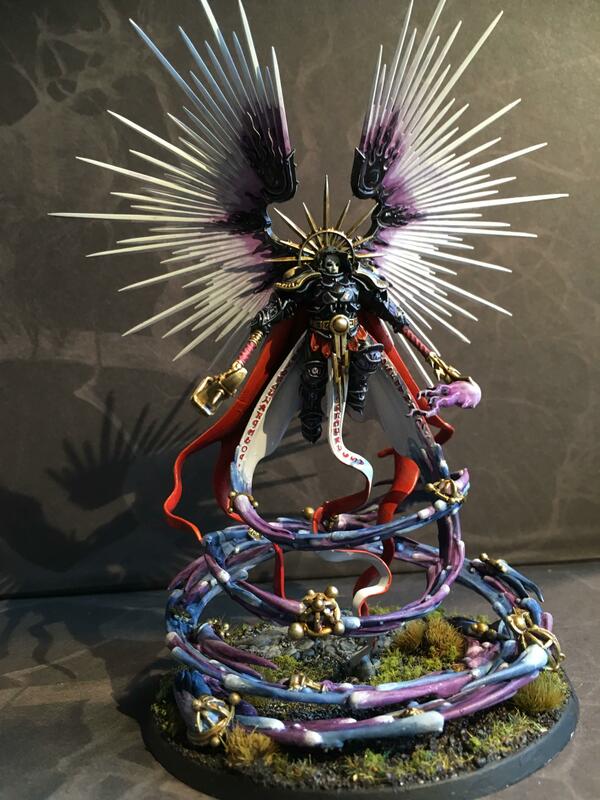 Vincent Venturella and WarhammerWeekly - The PmP group on google+ is the best painting community I've discovered so far. They have amazing moderaters who pour in a lot of hours giving invaluable constructive criticism. I also enjoy Doom and Darkness, HeyWoahTwitch and TheHonestWargamer for the countless hours of theorizing and thinking about Warhammer that the hobby offers.